With all this talk, caterwauling, and fluff about how important it is to use social media to build your small business, it’s important to talk about what NOT to do as well. As it turns out, when it comes to posting on social media sites, too much is not a good thing. You’ve worked hard to obtain a social following, so don’t abuse your relationship with your followers. Take a look at the graph below. For businesses that have a Facebook business page (and you should), posting more than once a day showed diminishing returns. In fact, if you compare the number of Likes and clicks of the first post of the day to the later posts of the day, the results are downright sucky. So remember, post to your Facebook business page once daily, but give it a rest after that. Some might argue that there are a lot of Likes/clicks to achieve with subsequent posts in the same day, but why not wait until tomorrow? That post you were about to put up as your second post of the day will show better returns if it’s held off until another day. Just like Aunt Bea always said. “The best day to do any job is tomorrow”. 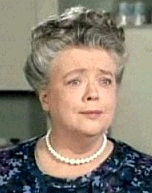 Well ok, so Aunt Bea would have never told anyone any such nonsense. But in this case, that’s exactly what you should do (but don’t tell Aunt Bea I said that). Read next>> Find out how The Black Dog Tavern on Martha’s Vinyard is running circles around your small business advertising strategy.